Access a magnetic remix of bold nature and unrivaled shopping in the heart of downtown Bellevue. 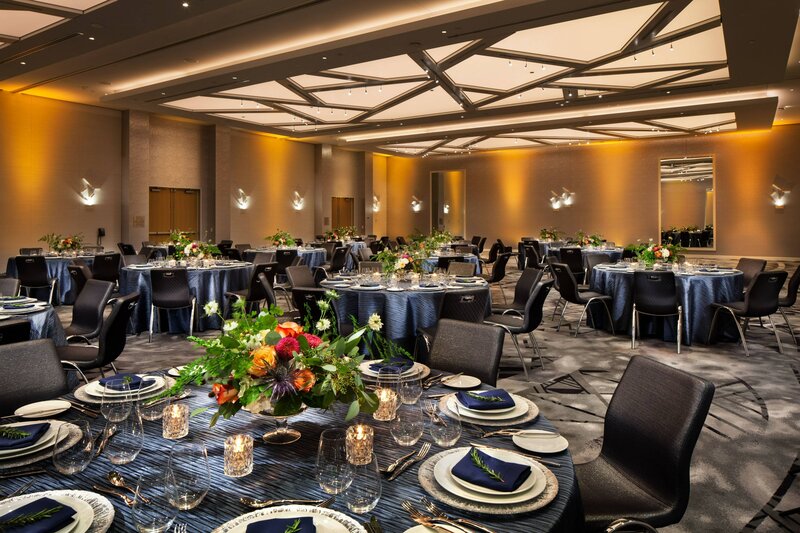 Near corporate headquarters and minutes from both Seattle and Woodinville wine country, our vibrant hotel is mere steps from The Bellevue Collection and a short drive from destination golf courses. Live it up in our glam bars, ranging from The Living Room and The Library to The Porch and Civility & Unrest. The Lakehouse, our Northwest farmhouse restaurant, sets the scene for extraordinary meals. Plus, Studio and Strategy spaces jump start your day, while FIT ups your energy level. Unwind anytime in our 220 rooms and 25 suites, each flaunting creative décor, including a covetable window seat. Showcasing sparkling city and lake views, these original spaces seamlessly fuse the hotel&apos;s stunning surroundings with its inventive interior. 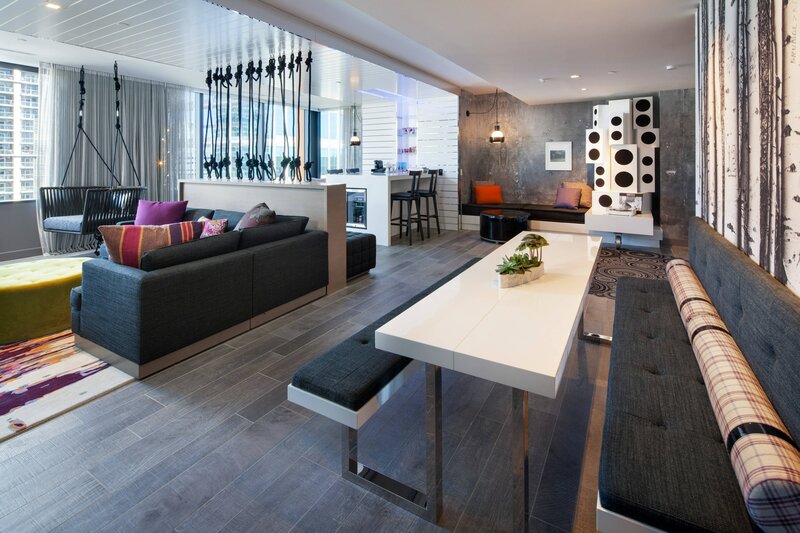 Inspired by yesterday’s weekender lake house, W Bellevue is a modern and chic downtown Bellevue hotel for seekers of the bold and beautiful. Here, on the agrarian edge of wilderness, our Extreme Wow Suite dances to a decidedly different beat, with our W Bellevue signature blend of lakeside chic and future-forward tech. Sumptuous windows provide unparalleled access to lake views so idyllic you’d swear they were painted on. Enjoy epicurean excellence, amplified. At W Bellevue, we offer bold cuisine and custom cocktails around the clock. Visit anytime. Savor contemporary Northwest cuisine in the Lakehouse’s lively farmhouse-inspired setting. See and be seen in the Living Room Bar, tucked away within our Living Room. Break out of the box. Cue the music. After power plays, hackathons and playful purchases, refuel at The Porch, a pop homage to the traditional lake house. Mix and mingle in the speakeasy ambience of Civility & Unrest, which takes an innovative approach to the culture of craft cocktails. 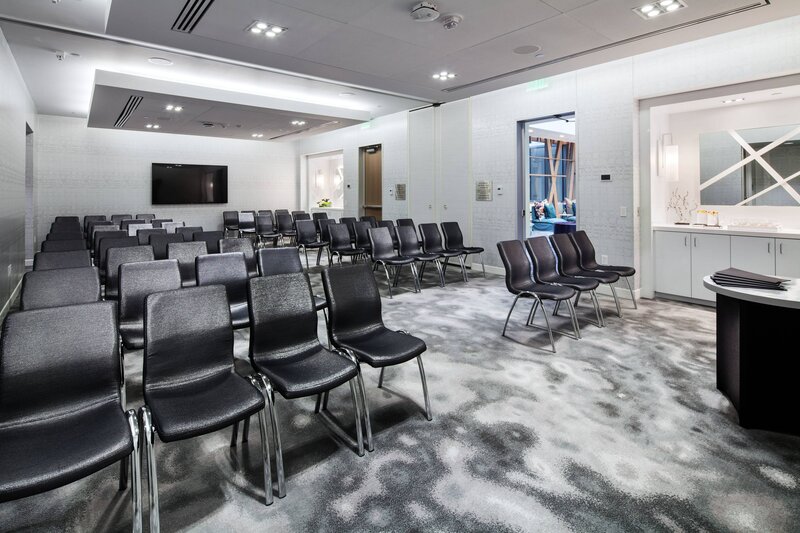 Creative in approach and innovative in design, W Bellevue presents 10,000 square feet of flexible meeting and event space, including the Great Room, six Studios, and two Strategy Rooms—all conveniently located on the same floor. 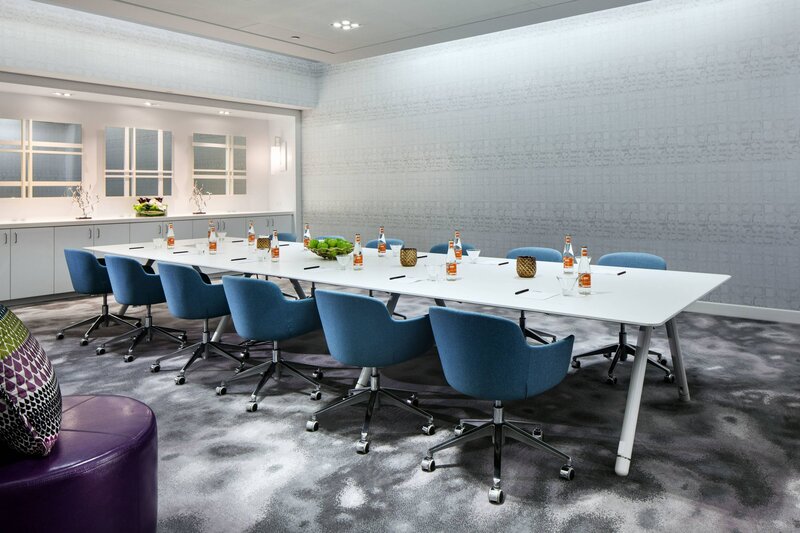 Engage and energize with our unique W Hotels Meetings Set-up, including mood music, signature scents, and more. Mix it up. Check out Bellevue’s colorful mix of creativity and commerce. Corporate headquarters. Iconic shopping. Innovative cuisine and local wine. Destination golf courses. They’re all just minutes away. Of course we’re also happy to provide recommendations. Just ask.